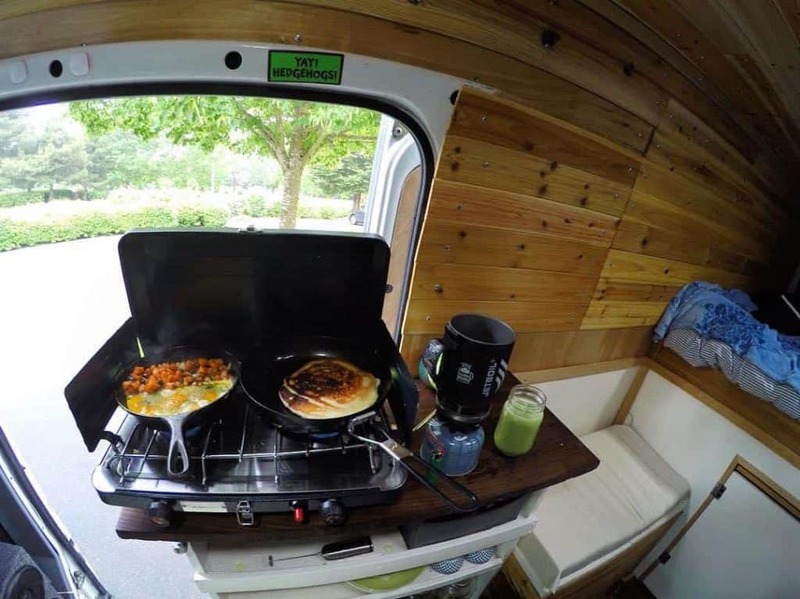 College students Wes Watts and Savana Roselli were shocked by the price of apartments in Portland, Oregon, so they decided to live in a Sprinter camper van to save money on rent. “We had two more years of school, so we ran the numbers and thought, ‘That’s $24,000 going in someone else’s pocket that we’re never going to see again,” said Wes. 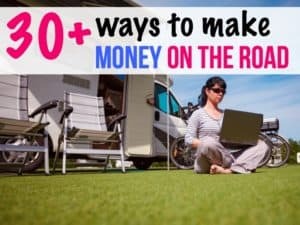 They decided to get rid of stuff and go tiny, eventually deciding to sink that money the would have paid on rent into a 2006 Dodge Sprinter, which they planned to turn into a camping van. “It was our own little investment, a way to build up some capital,” said Wes. 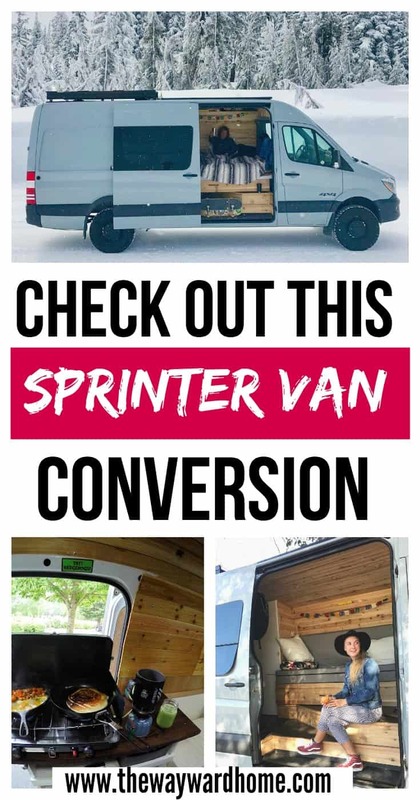 The two started their search for the perfect Sprinter van, and eventually found a 2006 used Dodge Sprinter van in Bellingham, Washington. So they brought that van back to Portland, Oregon and started in on their custom Sprinter van conversion. 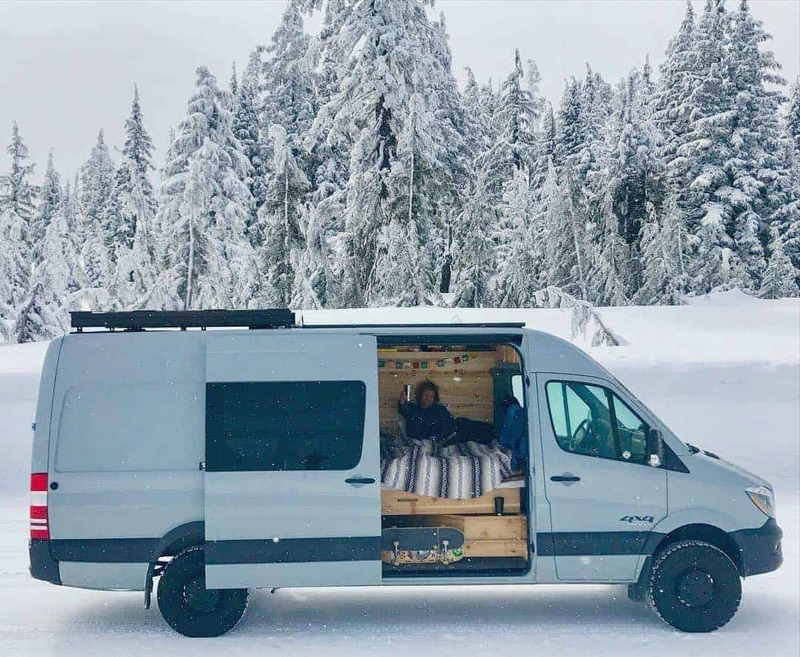 When they first started building out their Sprinter camping van, Wes and Savana first rebuilt the bedroom and added benches. As a college student in renewable engineering, Wes had access to his school’s workshop, which he used to do some of the woodworking for the bed frame. He put solar panels on the roof as part of a class project. 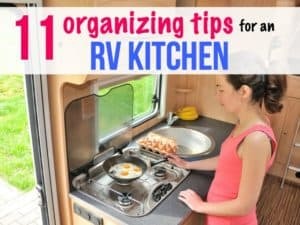 The two have spent about $22,000 total on the Sprinter camper van, including the purchase. Wes and Savana are both working and going to school while living in the used Sprinter van, and move around and park where they please depending on where they have to be the next day. “We’re living the same day-to-day life but it’s a little more exciting and fun. It’s also more convenient. This morning I had to work at 8 a.m., so we just went and parked in that neighborhood. I woke up at 7:30 and didn’t have to sit in traffic for two hours. 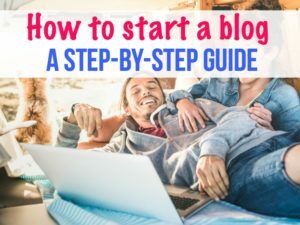 Being able to have our house wherever we need to be is convenient and helps us save money. We don’t eat out, we just go back to the van and make lunch,” said Wes. The two park the van on Portland city streets without a problem and have also parked it where Wes is attending college at the Oregon Institute of Technology in Wilsonville. “The security guard would walk by and we’d be cooking bacon in the van and he never said anything,” Wes said. 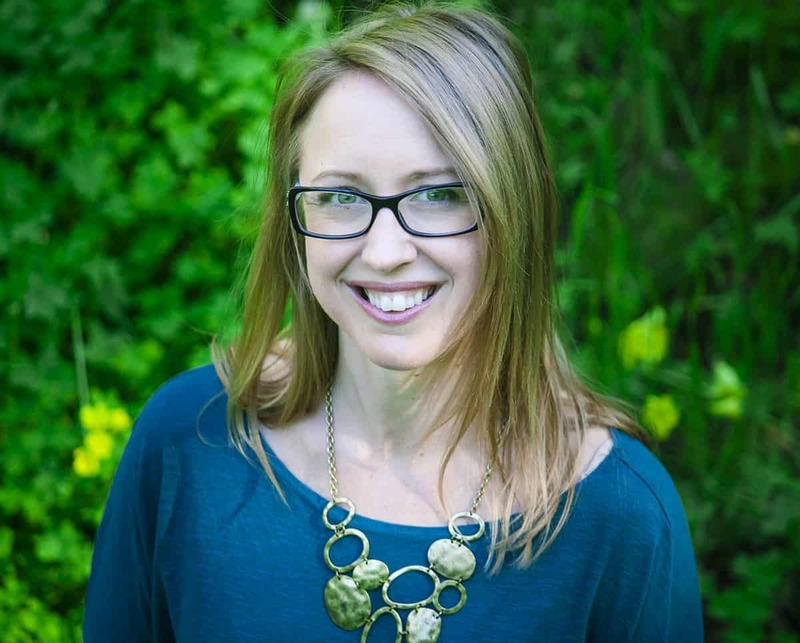 “In the winter we’d plug into an outlet at the school, and nobody said anything. The thing is about living in a Sprinter camper van is that it’s not a big RV, so when it goes to pulling into a neighborhood, it’s pretty incognito. It’s definitely not legal on paper but we try not to stay in one spot more than once. 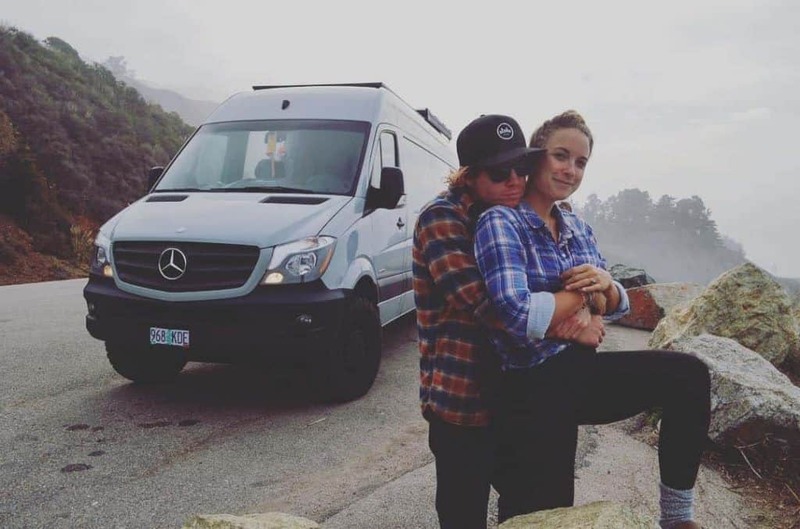 The couple loves living in a custom Sprinter van together, and plans on living in the van for a number of years, at least until they can afford a property where they can build a tiny home, or a sailboat, to travel around the world. The two believe the debt cycle is crazy, from going to college and accruing debt, from going into debt even further when buying a home, cars, furniture, etc. 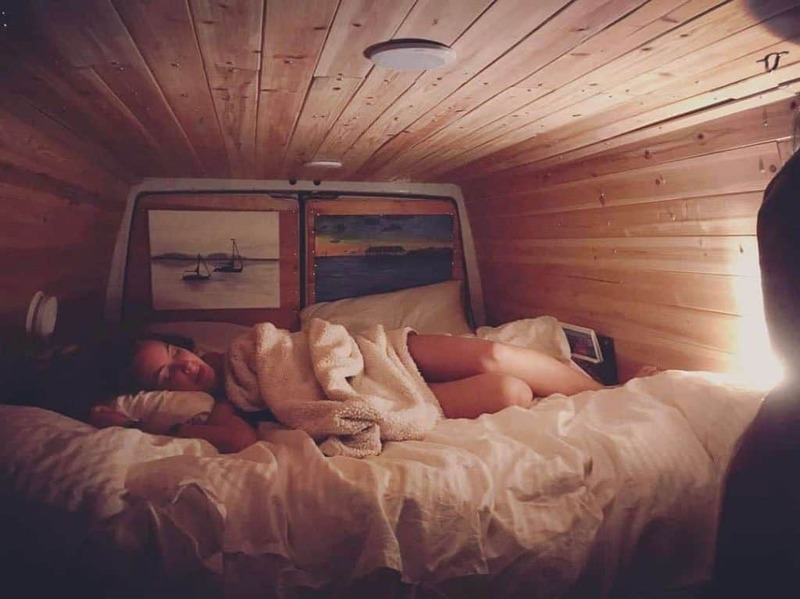 “Housing is borderline unaffordable these days for young people and we feel the van life and tiny van life gives young people hope again to make it. We now have an asset worth $25,000. We can put a down payment on something,” said Wes. What about the thousands (yes, thousands) of people living in vans, campers, trucks and cars in Seattle WA, to avoid the rents they can’t afford while working in that city? Isn’t that more important? Oregon Institute of Technology has dorms/housing. Why aren’t they taking advantage of that? Sure. 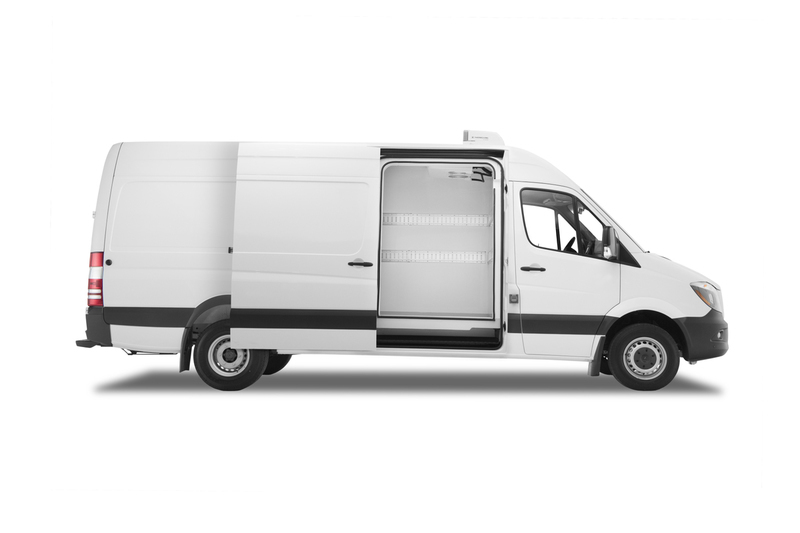 It is nice to read an article about an expensive van that has been done over and contains all the modern amenities… what about people living in the leaky vehicles they purchased for under $1000 because they don’t make enough to afford something better? Sure, it is nice to be able to park on Portland city streets. In Seattle, people living in their vehicles are limited to 72 hours in the same spot before they have to move… and THOSE spots are only in a limited industrial part of the city. 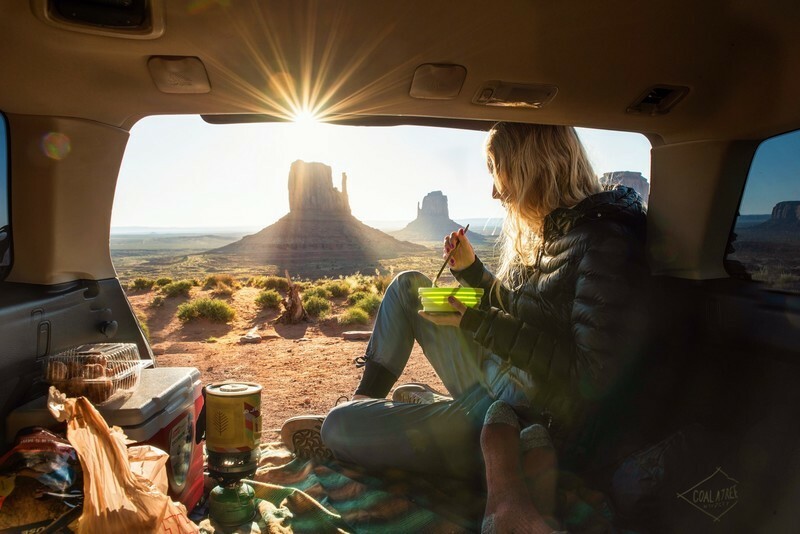 It seems nice to glorify living in one’s vehicle, but it definitely takes the spotlight off the larger problem that needs more attention. What is being done to make rents more affordable? I 100% agree with you, Bon. The cost of living is going up to unsustainable levels in major cities across the US. I live in San Francisco in a sailboat because I can’t afford rent. There is a much larger problem of unaffordability, and I think people are just doing what they can to stay afloat. 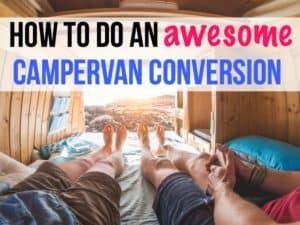 Some are making the best of it by having fun and living in vans….but it is a bigger issue. Here’s what needs to be done. The left needs to take a course of basic economics. The left is DESTROYING the US standard of living. They hate America!